Planning on joining in the annual Dyngus Day festivities around Broadway-Fillmore on April 22? 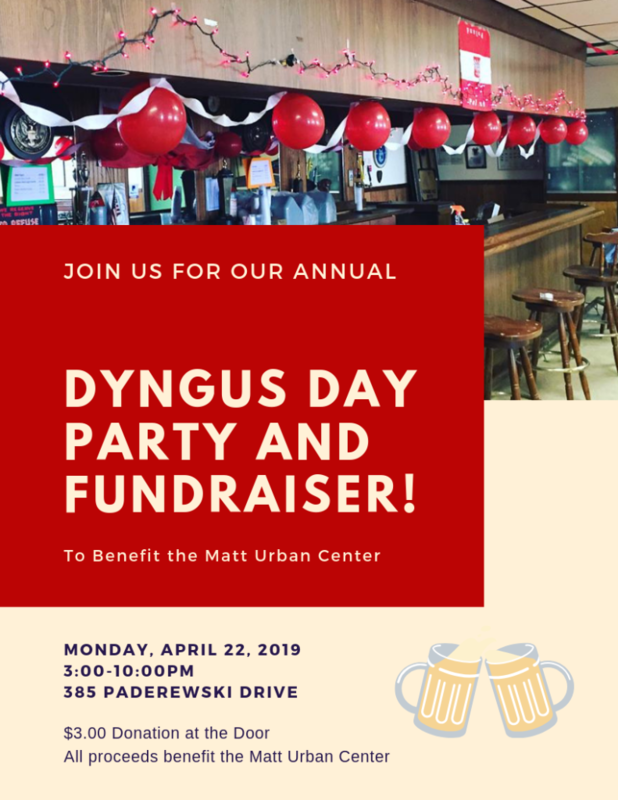 Make sure you stop in our Dyngus Day fundraiser party at the Matt Urban Hope Center from 3:00-10:00PM! Admission is $3 and all proceeds benefit the programs we provide in this community throughout the year. #DoGoodOnDyngusDay and come party for a good cause with us! Our dear friend, musician, and longtime supporter, Harvey Brice, will once again be channeling one of his hobbies into a fundraising effort for the Matt Urban Center! Last year, Harvey ran a half marathon and with the help of friends and family, raised over $1500 for our agency’s homeless outreach efforts. 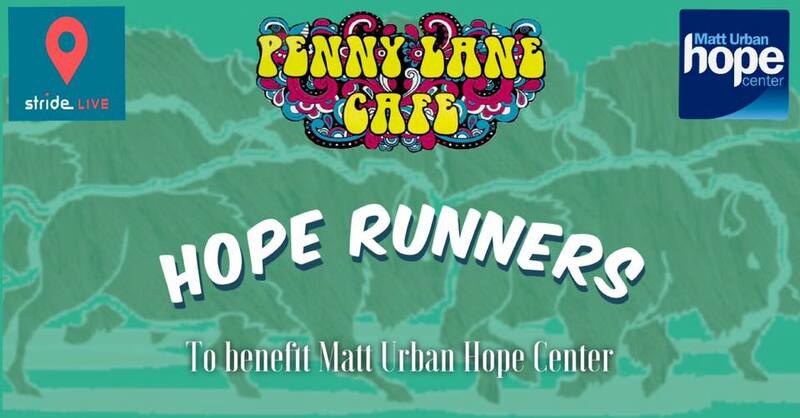 This year, Harvey is adding some manpower and has launched the Penny Lane Cafe Hope Runners. 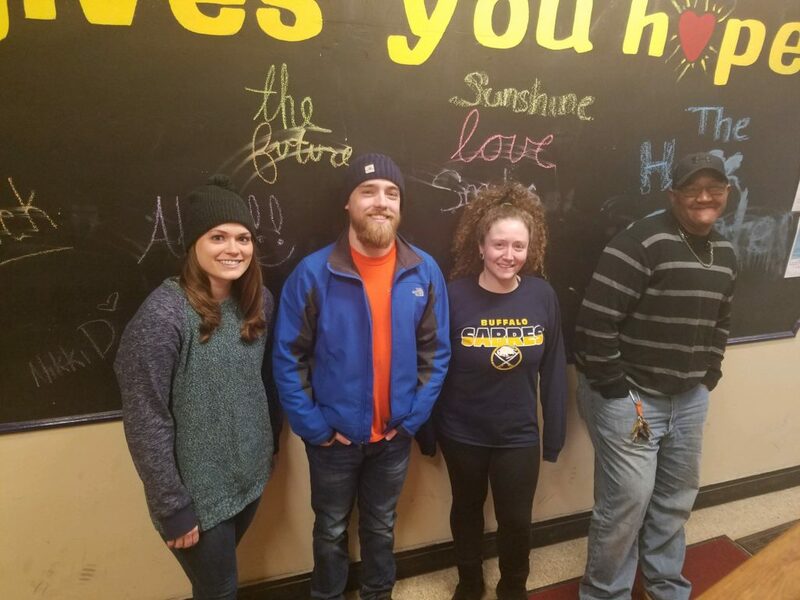 This team has entered to participate in the Buffalo Marathon on May 26, 2019 with the goal of raising $3,000 to support our programs via CrowdRise. The team will kick off its fundraising efforts with a launch event on Sunday, April 14 from 12:00-3:00pm at Penny Lane Café in Clarence. The event will feature food and cash bar, speakers, basket raffle, marathon trivia quiz, sign-up table and T-shirt sales. The team is also offering any affiliated businesses and associations the opportunity to set up a table at the event to enlist members, sell product or simply speak and share information. Click here to see the event page on Facebook. The fundraiser event is being sponsored by Anne Valby and the Penny Lane Café. StrideLive, a BETA running application for IOS, will be supplying team members technology for their training and safety and communication features on the day of the race. Stay tuned to our Facebook page for more updates on how you can support the Hope Runners! Job Description: The Clinical Outreach Specialist will function as a clinician and consultant primarily for the Homeless Outreach program. Main responsibilities include completing psych/social assessments and diagnoses with homeless individuals to determine eligibility for appropriate housing programs, creating individualized plans of care, and assisting with linkages to other health care resources in the community. To top it off, Basil Family Dealerships is also doing a social media promotion! For every person who likes their Facebook page in the month of February, they’ll donate a dollar to our agency! Help us thank them for their generosity and raise some much needed funds to support our clients – follow this link to their page and click the “like” button. Thanks to Basil Family Dealerships for their generous support for our agency and the clients we serve! 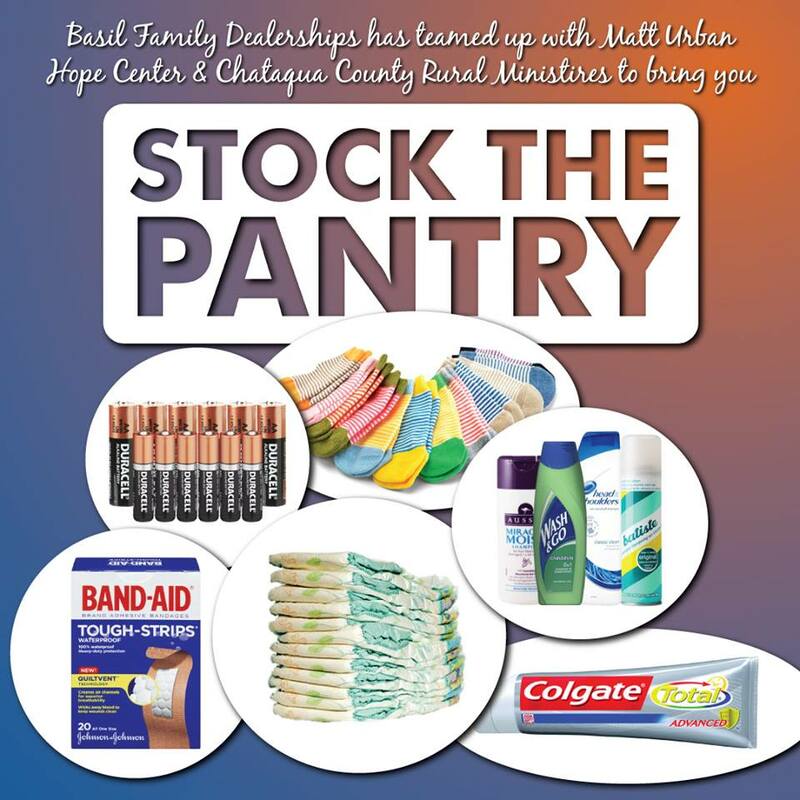 Join the Matt Urban Center for this celebration of Hope Givers in our community! The event will recognize three compassionate individuals who have contributed to our mission to serve those in need over the past year. The evening will include drinks, food, and live music, with proceeds from ticket sales benefiting the Matt Urban Hope Center and the clients they serve. Tickets are $40 and can be purchased here or at the door. Interested in becoming an event sponsor? Contact Sarah Maurer, Development Coordinator, at smaurer@urbanctr.org or (716) 893-7222 x232. Looking to do some volunteering in the New Year? We are in need of some dedicated volunteers to work in our Urban Diner kitchen at the Matt Urban Hope Center! 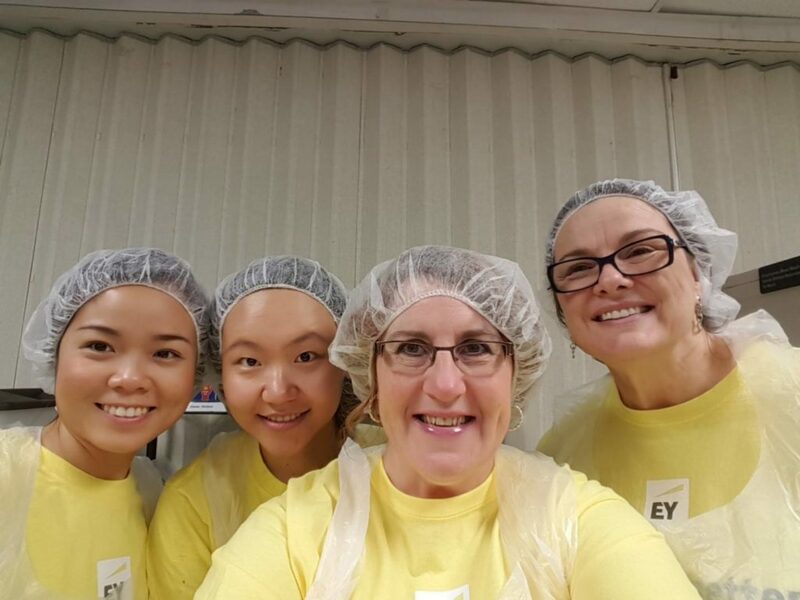 Volunteers are needed on weekdays from 1:00-5:00 p.m. Tasks include preparing meals and drinks in the kitchen, as well as washing dishes and taking out garbage. To learn more or sign up to volunteer, please contact Latasha Colbert at (716) 893-7222 x313 or lcolbert@urbanctr.org. We want to give a big shoutout to our Homeless Outreach team on an amazing accomplishment. 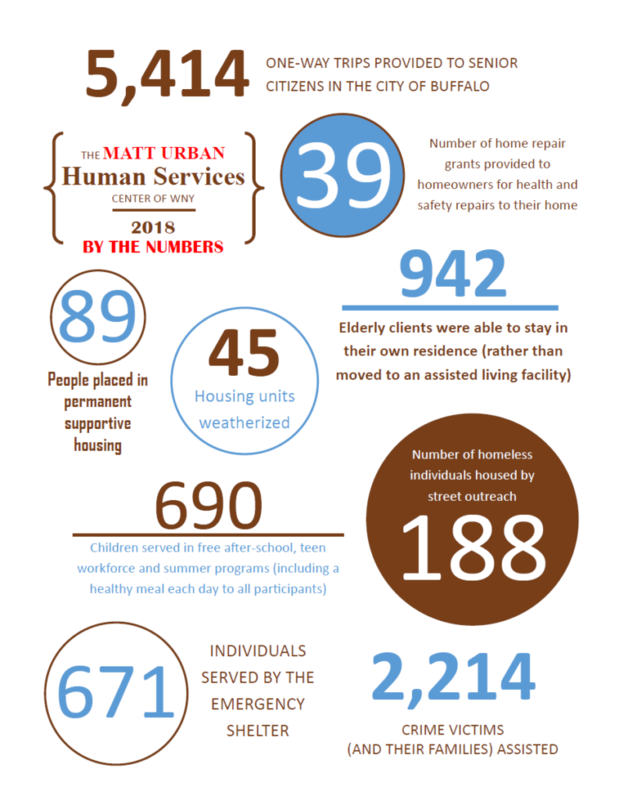 In 2018, this hardworking crew helped 159 homeless individuals secure safe housing. Their initial goal was to house at least 6 people each month, and they ended up hitting that goal every two weeks! We’re lucky to have such compassionate people on our staff and we applaud their commitment to serving the underserved in our community! Congratulations Abbie, Joe, Skylar and Nick! On Friday, December 14, the NFTA will kick off its holiday Sounds of the Season program at 8:30 a.m. in the MTC terminal with a unique entertainment extravaganza presented by Akron High School’s marching band. There will be a brief presentation at 10:00AM in support of this year’s “noteworthy cause” that will include representatives from the NFTA, Buffalo Public Schools, the Food Bank of WNY, and the Matt Urban Hope Center. 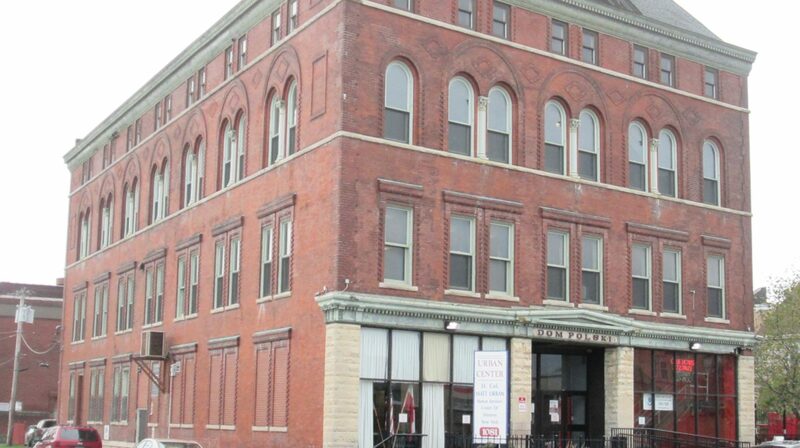 The event will culminate with a special musical performance by the Buffalo Academy of Visual and Performing Arts and a complementary hot chocolate reception. 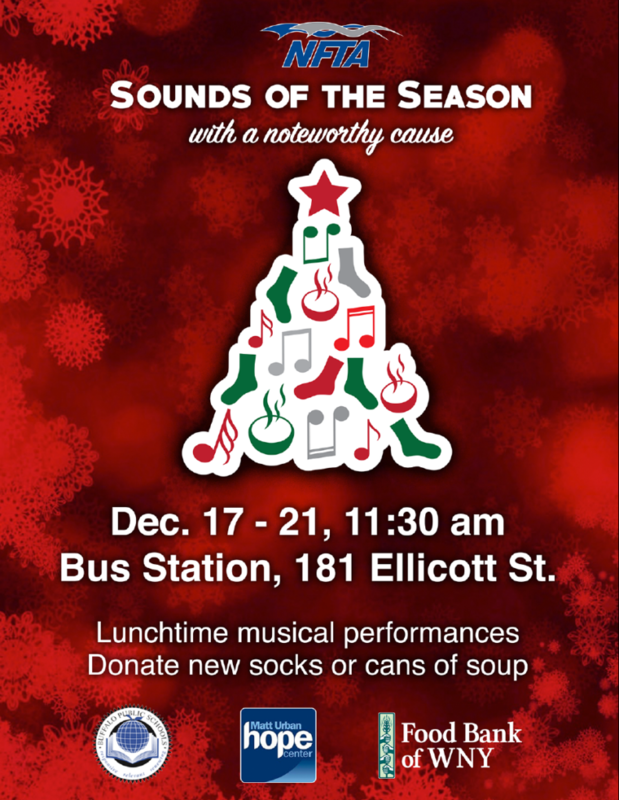 The Sounds of the Season lunchtime musical performances at 181 Ellicott Street will continue throughout the week of December 17-21 at 11:30 a.m. each day. Guests are invited to bring a can of soup or a new pair of socks to donate to the Matt Urban Hope Center or the Food Bank of WNY. Welcome Our New Hope Center Director! We’re very excited to introduce our new Hope Center Director, Kevin Glover, who started his new position there this week. 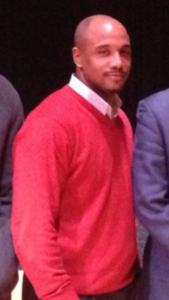 Kevin had previously held the position of Site Coordinator at Polonia Hall for our Youth Department. We look forward to the leadership he’ll bring in his new position at the Hope Center. Congrats, Kevin!